The Cangrejal River Valley offers many different sites and attractions! 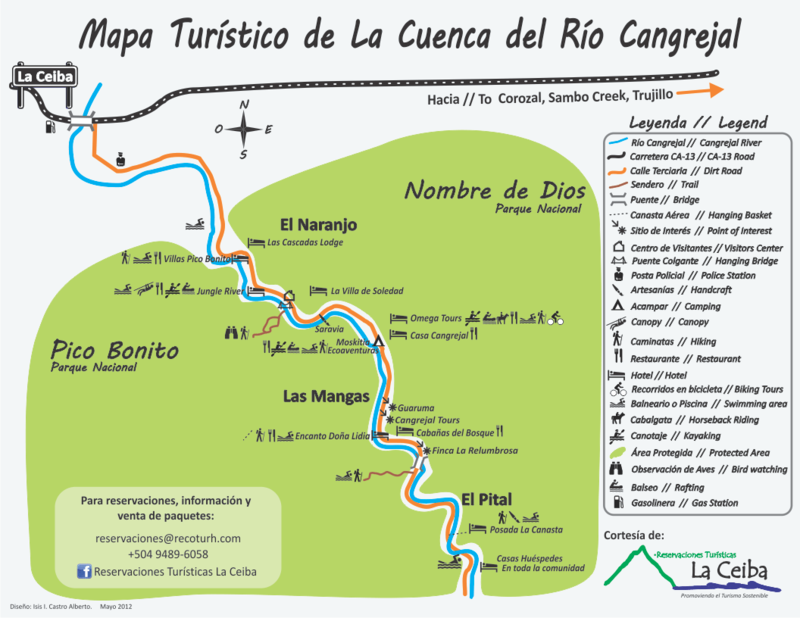 This Cangrejal River map is an excellent reference for planning your Honduras travel adventure. It displays visual points of interest, tourist activity locations, and communities along the way. The map is courtesy of LARECOTURH. This a community based NGO that looks to promote sustainable tourism in the area. Remember that the Cangrejal River Valley is within the municipality of La Ceiba is is one of the stars of the destination known as Atlantida! Feel free to print it out and keep it handy during your trip. You can also bookmark this page on your hand-held device.